Come and explore the best hidden secrets and gems of the makeup and beauty world. Here at Ezeenah, we scout not only for the best brands, but we want to enrich your passion for the beauty industry so that you too can explore innovative labels that are trendsetters in their own right. Ezeenah is the brainchild of Zareen Shah, an MUA based in Dubai, UAE, for over 15 years. 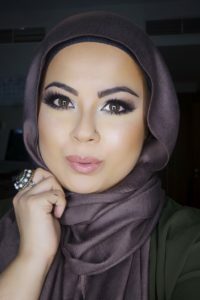 As a self obsessed Makeup Junkie she is constantly on the lookout for products that deliver, and felt that there was a huge gap in the beauty industry within the Gulf and decided that it was high time that she shared her passion with others like herself. Ezeenah is here to educate you on the products that we offer with tips and techniques that have been learnt and achieved by Professionals in the industry. 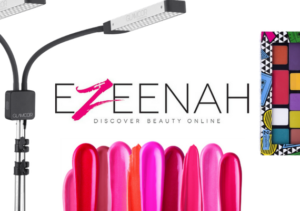 Discover beauty online with Ezeenah ! Unsatisfied with the makeup brands geared towards MUAs in the UAE, Zareen Shah, decided that that had to change. An avid beauty and makeup addict herself, Ezeenah was created in 2013, the year her daughter was born. Find out more on the Pro Artistry Program here.